The very first oral health program I organized with Govinda, at Sada Shiva Primary, was in the spring of 2004. 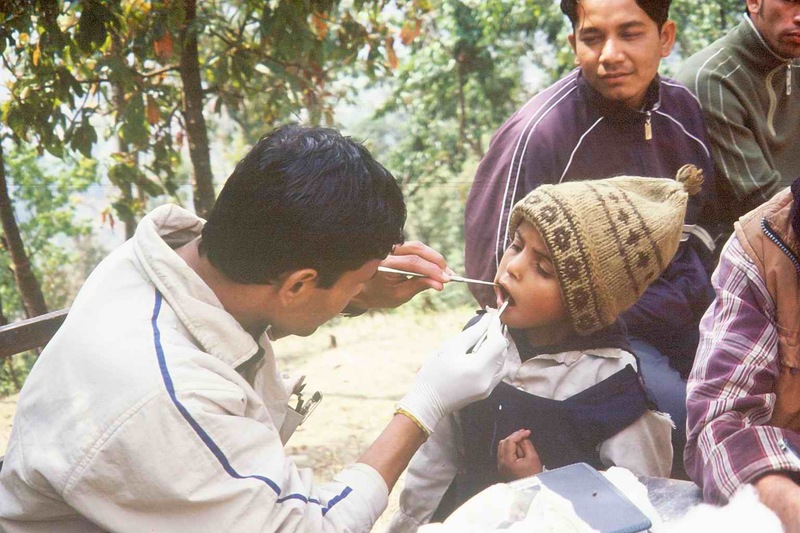 We launched the Kaski Oral Health Care Project in 2006. Over the years we’ve gradually refined our approach, added in pieces that address culture and product availability, vastly improved our integration with the government and with schools, and pushed the standard of care in our clinics as best we know how. We have our own unique sanitation protocol that I put together doing my own research. We’ve learned not to take the status quo for granted, and to seek more information about what is legitimately possible in low-resource settings. We’ve learned to recognize complacency: I’ve had to get comfortable with being told things should be done one way, and then seeing with my own eyes they should be done a different way. But up until now, we’ve basically been doing this on our own. We try to do annual medical audits of our clinics with local dentists, but our clinics are, increasingly, unique entities. As a result, there isn’t really a solid barometer of care in Nepal, because we set our own standards – OR internationally, because, well, we’re in rural Nepal. In 10 years, I’ve never had foreign dental professionals come to witness, much less rigorously assess the care provided by our clinicians. For that reason, the most promising part of this whole collaboration was what came this week: clinic audits and evaluation of patients who have had fillings done in our clinics some time in the last eight years. From a human rights standpoint, this is an incredible opportunity for research. JOHC technicians are nontraditional health care providers offering a technical form of medicine that is totally absent in rural Nepal. If we can get hard data showing that their treatments are safe and effective, we have a rigorous foundation for arguing that similar clinics should be incorporated in all 3,000 of Nepal’s health posts. This kind of data isn’t that easy to get, because you’d have to search pretty far to find other patients who were treated 5 or 7 years ago by rural dental technicians in real, remote contexts, rather than by visiting doctors doing controlled research. In fact, I don’t where you’d find that at all. With that in mind, I am thrilled to say that, in addition to visiting four of our clinics to provide general evaluations and technician feedback, Dr. Keri and Dr. Bethy screened over sixty past patients. Both of them use glass ionomer extensively in their own practices; Keri is a pediatric dentist in Connecticut and Bethy is currently doing a PhD incorporating similar techniques in to schools in Cambodia. So these two ladies are like space aliens from another dimension…they know SO. MANY. THINGS. We invited the past patients for assessment and then the result was out of our hands. I was excited and nervous. Bethy and Keri were able to screen past patients in three different locations, documenting outcomes from of three out of six of our technicians. What they found is that these treatments have provided objectively, measurably positive health benefits. 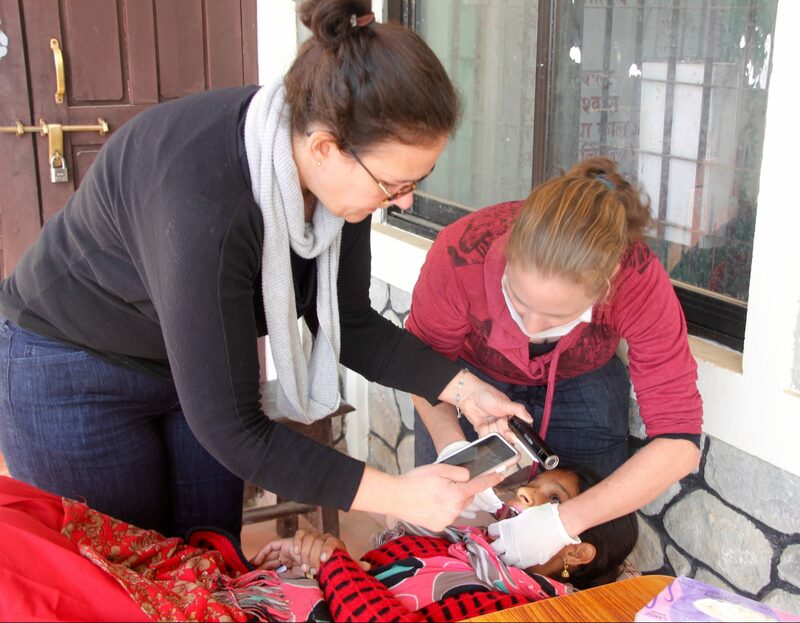 What they found is that our rural dental technicians, who are Nepali people working locally in their own villages to offer the only sustainable rural dental care in Nepal, have provided objectively, measurably positive health benefits for their patients. In fact, given the conditions in which they are working, they appear to be getting EXCELLENT results. And with the photo documentation that we have, it will be possible to do a fairly in-depth look at exactly what that means–hopefully, something publishable. There are also ways these outcomes can be improved, and this process allowed the doctors to pinpoint some very specific methods for how. For example, our technicians should be provided with additional hand instruments that will allow them to improve the cleaning of the tooth before the filling is placed, so that it will last better. 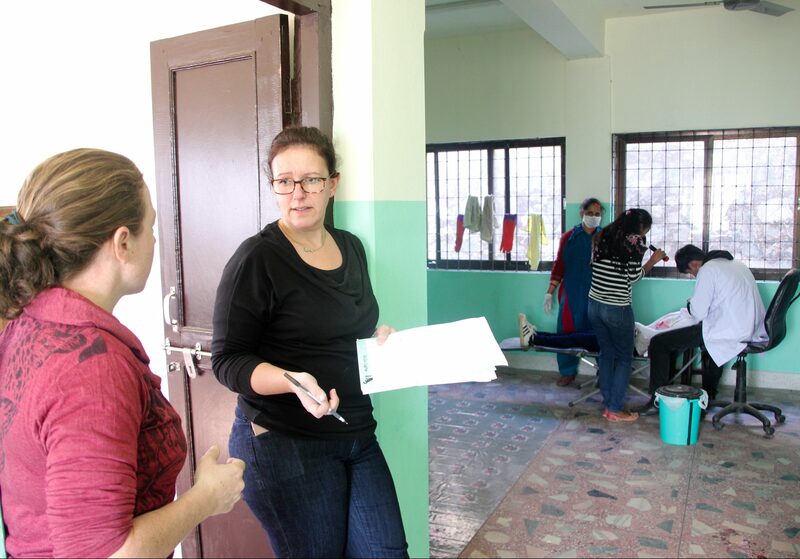 We did clinic audits and past patient screenings in Bharat Pokhari, Sarangkot, and Salyan. We also went to see a school seminar in Rupakot. So over the course of the week, Bethy and Keri got to work intensively with all of our technicians, even if getting to every clinic was not possible. They gave us feedback on supplies and setup that can continue raising the standard of safety and quality in our clinics, which all use the same supplies, so we can generalize that feedback even to the clinics they weren’t able to reach on this visit. We’ll also be starting a Facebook page for technicians to continue learning from Bethy and Keri. Every night, we’d come home from one jeep ride or another, and these two would still talking about ideas to support our technicians and strengthen outreach to schools. They just KEPT THINKING OF THINGS, and in the morning I’d wake up to find that they had gone to have coffee, where they were still talking about instruments and procedures and lights and glasses and training videos and possible articles to write. It was INCREDIBLE. Remarkable progress. An outstanding re-confirmation of your vision and the years of dedicated, effective hard work by the whole team. Onwards!